Pizza Hut is fighting a perception problem because the majority of its franchise locations are outdated. The pizza chain has spent the last couple of years growing its digital prowess by launching a new mobile app, offering proprietary delivery similar to Domino’s, and building out its brand loyalty program—currently at 12 million users. Consequently, it has cut down on customer complaints by 30 percent and grown its digital business by 15 percent, according to Artie Starrs, president of Pizza Hut U.S. Speaking on stage at YUM! Brands Investor Day, Starrs said the issue remains a lack of consistency in same-store sales at Pizza Huts across the country, which fell 1 percent overall in the third quarter. The company’s plan to fix this is two-fold: gutting traditional dine-in operations by 25 percent over the next five years and creating more “Delco” store locations, a concept which combines smaller layouts with modern designs geared toward delivery and carryout, QSR Magazine reported in August. “Our assets don’t scream loyalty, mobile app, and delivery,” Starrs told investors, Wednesday, adding many customers aren’t aware Pizza Hut delivers from 6,000 locations when interviewed in-store. 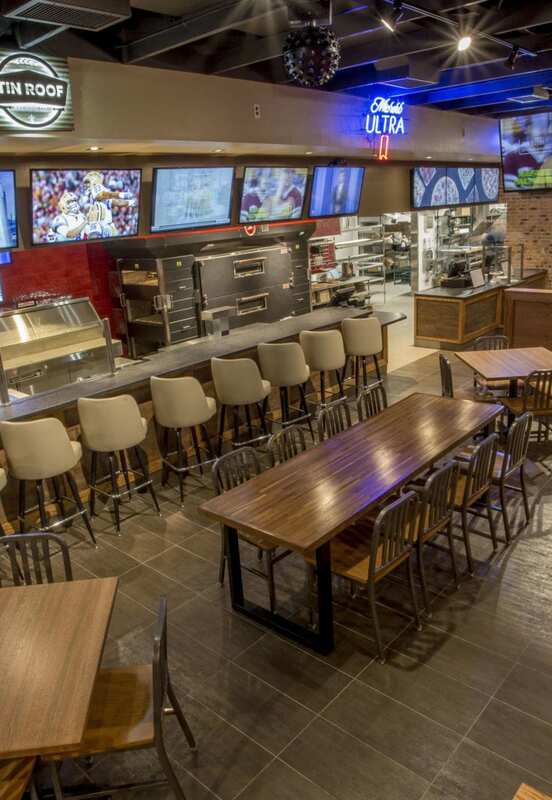 To date, Pizza Hut has opened 70 Delco stores in the U.S., and results have been encouraging. Renovated stores have witnessed a 30 percent boost in sales, according to the company. Pizza Hut also vaguely touched on the purchase of online ordering company QuikOrder, announced Tuesday, for an undisclosed fee. In a statement, the company said the proposed agreement would mark one of its largest acquisitions to date. But really, Pizza Hut and QuikOrder were already closely tied. Approximately half of Pizza Hut U.S. sales have been processed through QuikOrder’s platform so far in 2018. Starrs told investors the purpose of the acquisition is to bring all the technology Pizza Hut uses under one umbrella. Pizza Hut’s Chief Technology Officer Carol Clements will oversee QuikOrder’s Chicago-based team.